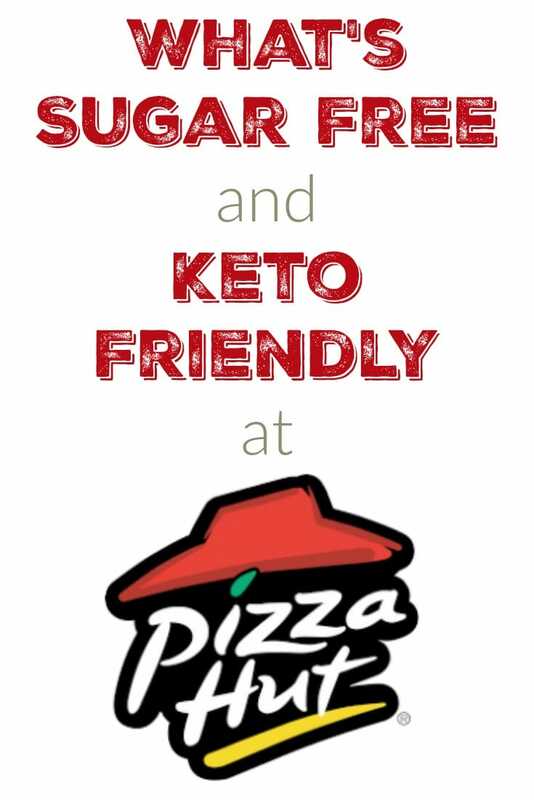 What's Sugar Free and Keto Friendly at Pizza Hut? What’s Sugar Free and Keto Friendly at Pizza Hut? 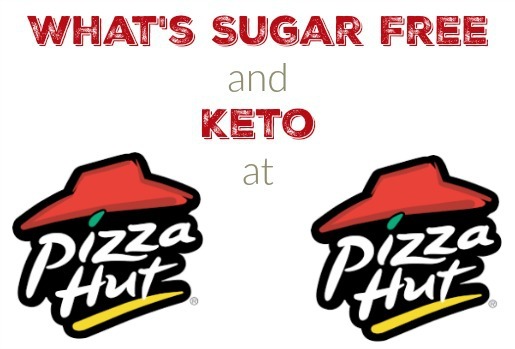 We are continuing our series of what is Sugar Free and Keto Friendly at Restaurants and this week we are looking at Pizza Hut! Believe it or not, there is quite a bit of things you can get Ketofied at Pizza Hut because it’s pretty much just the crust you need to watch out for. I would recommend doing one of two things. either get your toppings of choice placed on a thin crust pizza and just scrape off the toppings and eat that, or you can order the toppings put on a plate and cooked without the crust. This is actually something they do all the time so I promise they won’t look at you too strange! Also keep in mind that like a lot of restaurants, it is difficult to know exactly what the ingredients are because they aren’t listed. (Something that would be most helpful for the sauces) I’m doing my best by going off the nutritional info and making an educated guess. You can see the menu for yourself at PizzaHut.com. Looks like both the crushed tomato and Marinara either contain no sugar or only a very small amount. The creamy garlic Parmesan contains no sugar also but seems to have a canola oil base so I would avoid if you are trying to cut out PUFAs. Keep in mind that both tomato based sauces will have carbs from the tomatoes even if there is no added sugar. Did you read the article? You can get just the meat and cheese on a plate.